Obituary for Willie Louis McKinney | L.E. Black, Phillips & Holden Funeral Home Inc.
Services will be 10:00 a.m. Saturday, September 8, 2018 at the Tabernacle Baptist Church for Mr. Willie Louis McKinney, 81, of Youngstown, who passed away on Friday, August 31, 2018 at Mercy Health St. Elizabeth Health Center – Youngstown. 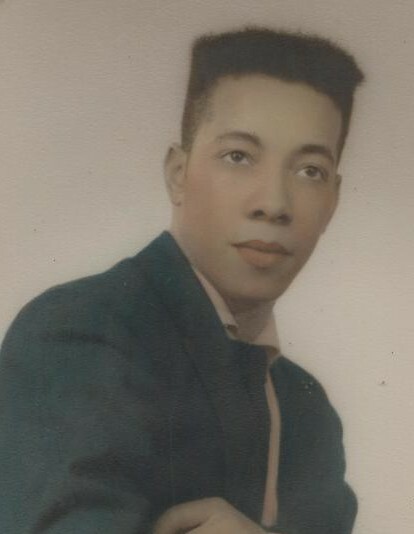 Mr. McKinney was born April 20, 1937 in Youngstown, a son of Coley and Lula Belle Leonard McKinney. He was a 1955 graduate of The Rayen School. He was a veteran of the U. S. Marine Corps, traveled to Japan and saw action in the Middle East in the latter 1950’s with early U.N. Peace Keeping forces. He was a veteran firefighter for 33 years with the Youngstown Fire Department, which will honor him at his passing. He was a passionately active member of the Youngstown Buckeye Elks Lodge No. 73, and its Youth Center for 39 years serving in the position of Lecturing Knight. He had been a member of the Tabernacle Baptist Church for over 75 years. He leaves to mourn his passing, but to rejoice in his eternal peace, his daughter, Sharon McKinney of Lorton, VA; two sons, Jeffrey McKinney of San Francisco, CA and Calvin McKinney of Thailand; a brother, Anthony Graham; a sister, Rose Smithers; a granddaughter, Summer Rae McKinney; nieces and nephews, including Brian Watson of Los Angeles, CA; and a host of other loving family, extended family and many long time friends who will remember him with great respect and miss him dearly. Besides his parents, he was preceded in death by his wife, the former Shirley Rae Tarver, whom he married June 18, 1960 and who passed away November 30, 1997.